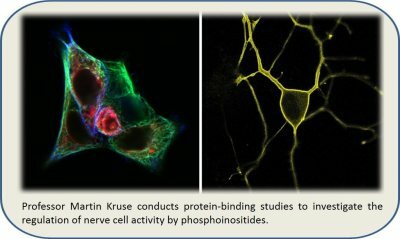 Research in neuroscience is the principle way of making new discoveries that contribute to our understanding of basic science and its application to the human condition. As a high-impact learning practice, undergraduate research is a critical piece of the Bates education. 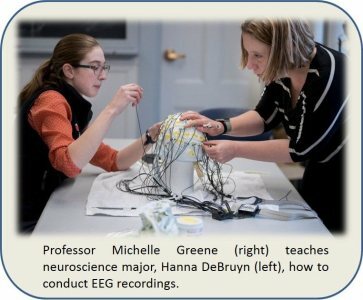 Through the research process, our majors learn not only key disciplinary skills in information literacy, research design, data analysis, and communication, but also develop professionally by joining a community of scholars, deepening relationships with mentors, and clarifying a career path. With a shift from consuming knowledge to producing knowledge comes self-confidence, independence of work and thought, and readiness for life after Bates. At Bates, faculty and students work side-by-side in this discovery process, using research methodologies as diverse as the research questions at hand. 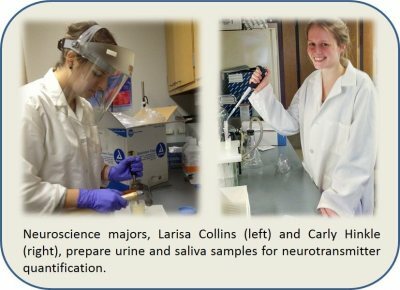 Beginning with class-based labs, extending to summer research opportunities, and culminating with senior thesis, you can look forward to mastering some of the techniques listed below. 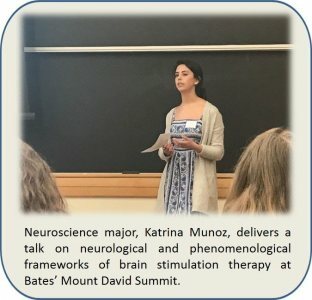 In addition to having financial support for student research from the Neuroscience Program, Bates students are eligible for competitive awards and grants from a number of sources. 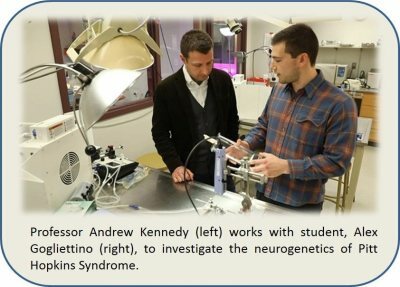 In recognition of high research achievement, many of our neuroscience majors are nominated for induction into the Sigma Xi Scientific Honors Society. 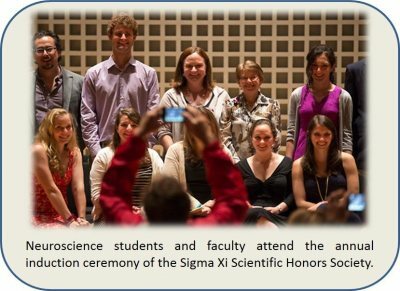 Caption: Neuroscience attendees at the 2013 Sigma Xi induction ceremony. From left to right (top row): Professor Jason Castro, Torben Noto, Professor Nancy Koven, Professor Nancy Kleckner, Laura Max; (bottom row): Samantha Forrest, Larisa Collins, Olivia Coleman, Lauren Demers, Samantha Landino.